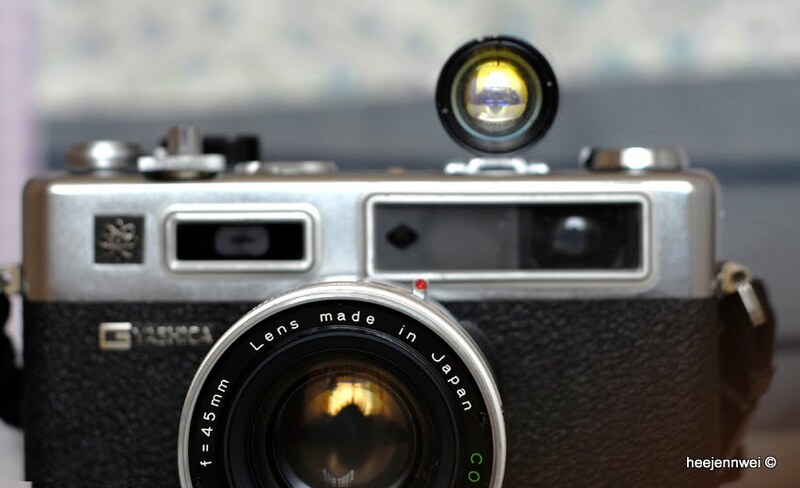 Within the Chronicles' Frame: Light upon the Rangefinder!!! 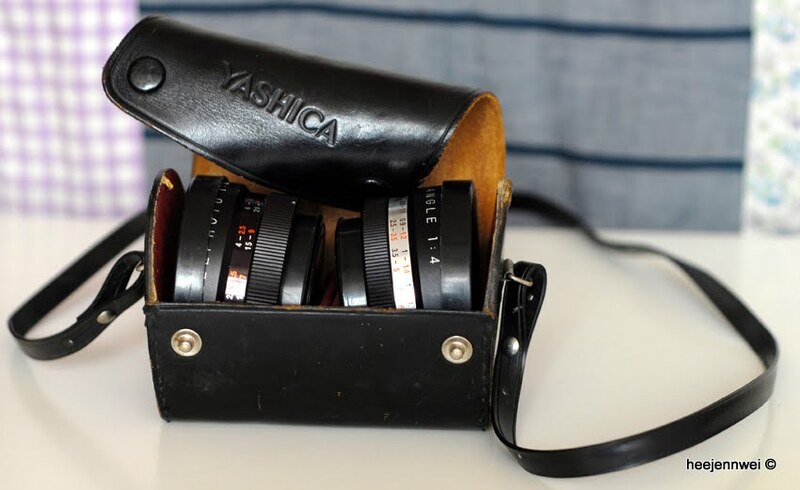 Yashica Electro 35 GSN was produced during 1973-1977, with a built-in lens 45mm f1.7!!! 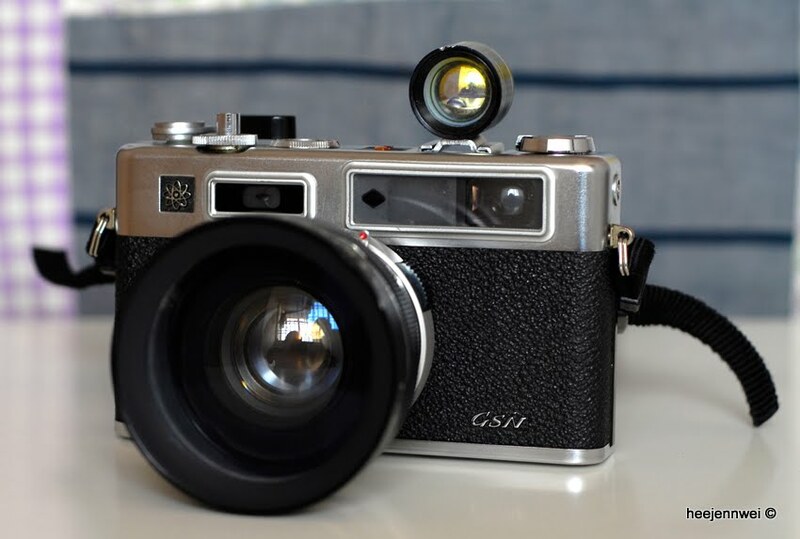 Yashica Electro GSN was a revolutionary for its time, being the first camera with fully electronic automatic exposure! 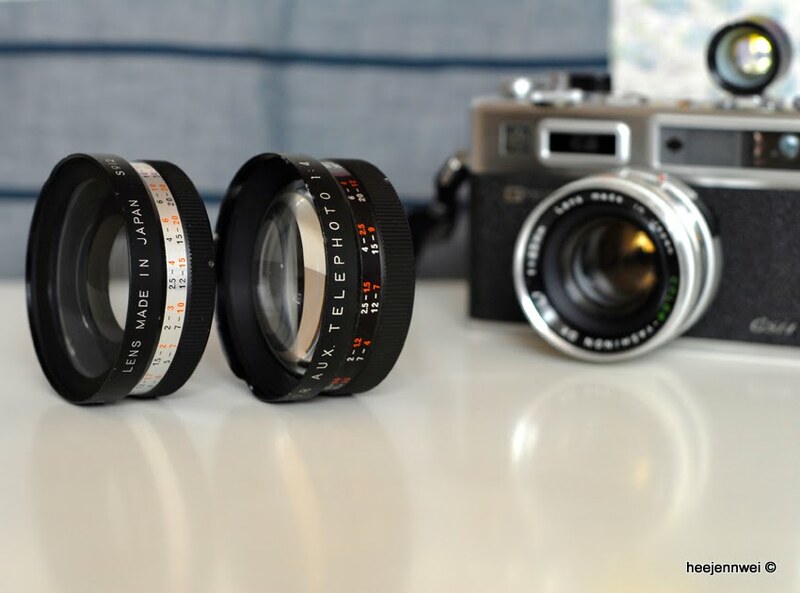 Despite, rangefinder market was well shaken up by Voigtlander, Leica and Contax, Yashica wasn't any far behind for sharpness and bokehness! 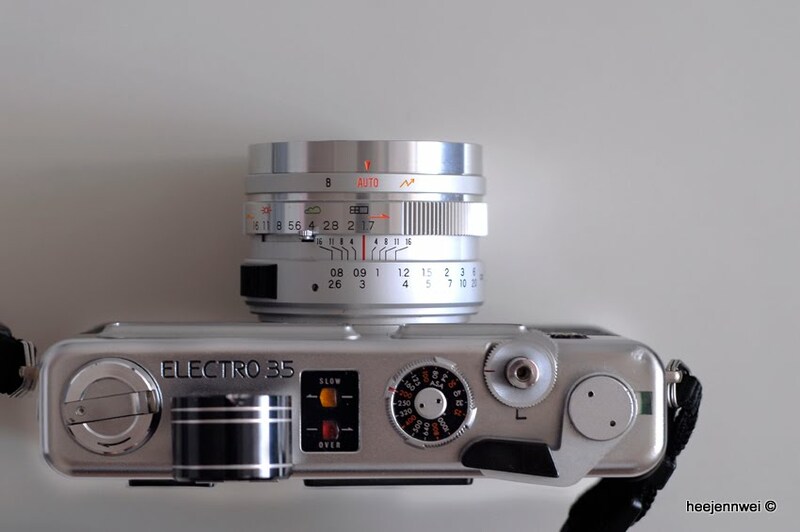 Rangefinder way of seeing and experiencing picture taking is substantially different from SLR. 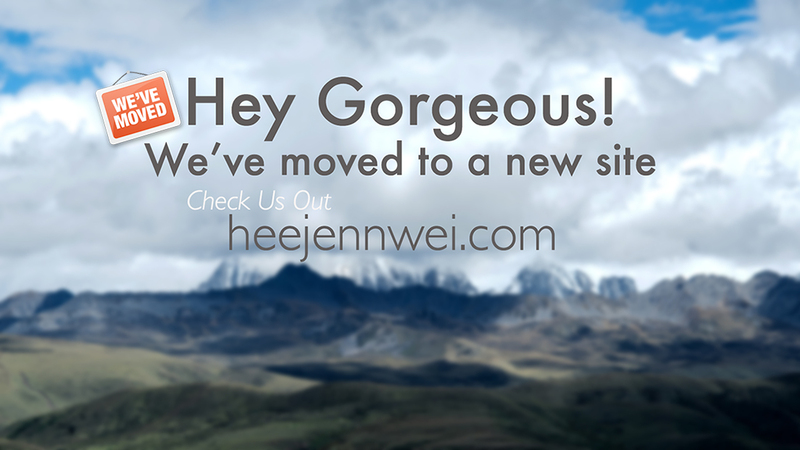 You might or might not like it, and i LOVE it! 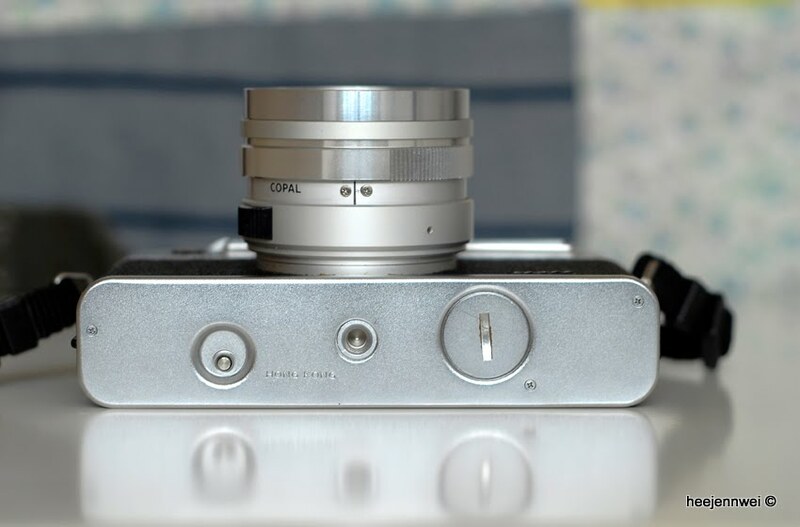 Check out the god-like f1.7 COLOR Yashinon lens!!! it's a wonder. 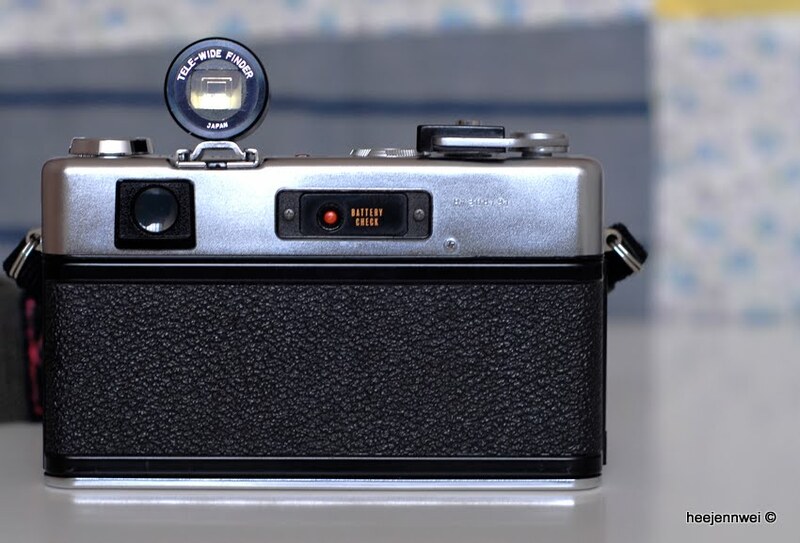 Tele-Wide Rangefinder on the hot shoe! Darn cute isn't it? it comes with 2 Lovely original TELE and WIDE lens!!! classic Original leather pouch!!! i like! Despite the age, the condition of this babe is awesome! 9.5/10!!! thanks to the damn good care from its previous owner! 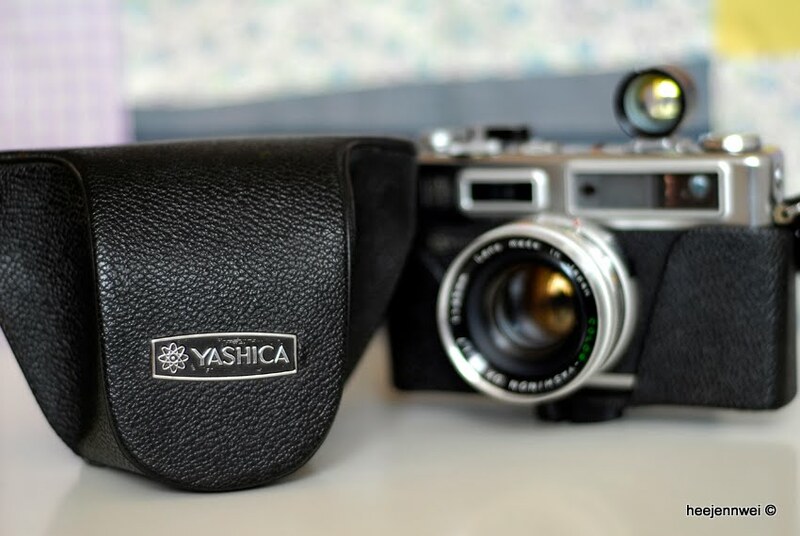 i almost bought a Yashica too! Thankfully the batteries are still available. 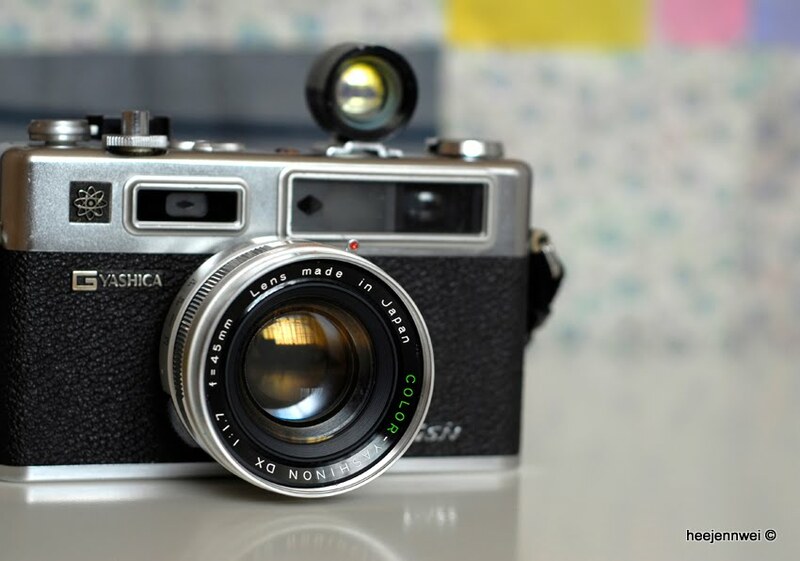 there's many types of Yashica Electro 35. without battery shutter speed will stay 1/500". battery is not available anymore, i got modified battery adapter online.